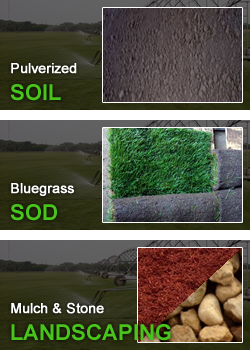 Cooling Sod | Serving Illinois, Indiana, Iowa, Wisconsin | Joe Cooling and Sons Inc.
Grass is Good - Grass absorbs greenhouse gas and converts it into life-giving oxygen. Grass does this at a much higher rate than native plants because grass has higher leaf density and a faster growth rate. A 2500 square foot lawn converts enough carbon dioxide into oxygen to sustain a family of four! Air Conditioner - On a hot summer day, lawns will typically be 30 degrees cooler than asphalt, 14 degrees cooler than bare soil and a huge 35 degrees cooler than artificial turf! Aside from just creating a comfortable setting, grass also reduces energy demand by lowering the ambient temperature around a home. Water - Turf (grass) roots act as a natural environmental filter, and in combination with soil biology make lawn root zones an ideal medium for the biodegradation of contaminants that are carried in runoff water. Air - Grass absorbs particulates and some of the worst atmospheric pollutants such as sulfur dioxide and ozone. Blue Grass Sod - At Joe Cooling and Sons Sod Farm we offer the finest and freshest Kentucky blue grass in the region. Our rolls are 2 feet by 5 feet (10 square feet). Your Sod Today! - We are open daily from 7 AM - 5 PM Monday thru Friday and 7 AM - 12 PM Saturday. Call us now at 815-332-2144! Cooling Sod Farm offers the finest selection of landscaping supplies and finest Kentucky blue grass SOD, pulverized topsoil, non pulverized topsoil, grass seeds, various mulch including red, gold, brown and econo. We also have A stone, fertilizers, straw blankets and much more. Please feel free to call with any questions you may have. Family owned and operated sod farm and landscaping supply company servicing the Greater Rockford area for over 50 years. Landscaping products include, topsoil, landscape rocks, mulch, sand, seed, erosion control blankets, steel staples, and fertilizers. We sell sod in 2' x 5' pieces. Give us the area or dimensions of the space you wish to sod and we'll tell you how much sod will be needed. Sod is cut daily, weather permitting. Please call one day in advance to place a sod order. We deliver sod and topsoil. Please give us a call for delivery specifications.